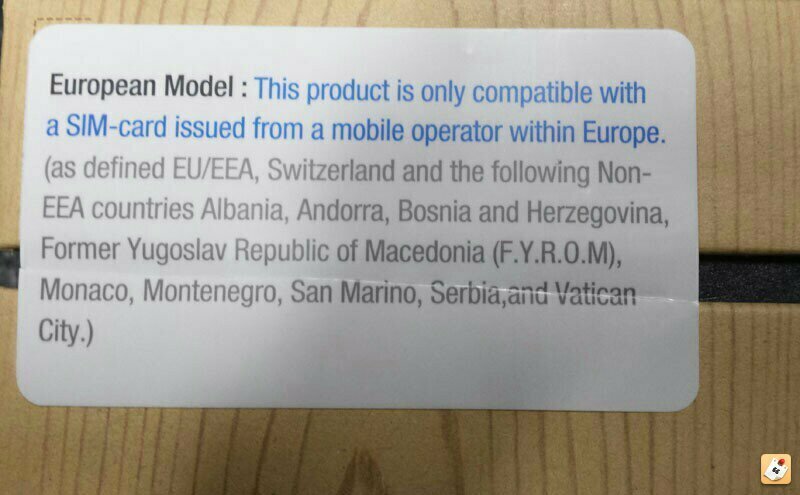 A few days ago we reported that the European Samsung Galaxy Note 3 is region locked. Later Gigaom reported that they had received a note from Samsung Germany that the Note 3 is region locked only until activation. Once the Note 3 has been activated in the European market on a European carrier the lock is removed and users can use the Note 3 without any restrictions. Ukmobilereview also reported that they had got official word a Samsung spokesperson that the Note 3 is region locked until you activate it in the region. Once you activate it in that region the region lock is automatically removed. “In order to provide customers with the optimal mobile experience in each region including customer care services, Samsung has incorporated the ‘regional SIM lock’ feature into Galaxy Note 3 devices. The product is only compatible with a SIM-card issued from a mobile operator within the region identified on the sticker of the product package. When the device is activated with a SIM card issued from the other region, the device may be automatically locked until it is released at the dedicated service centre. Right Samsung? Nada, no , nopes that ain’t the truth peeps. The Samsung Galaxy Note 3 is infact region locked even after you activate it in that region. There are a lot of xda users who have tried popping in another sim and have got the unlock pin message. This, even after they activated the Note 3 in the region where they bought it. I bought my Note 3 in UK and activate it normally with one of UK operators. I then travelled to Cairo, Egypt and when try to use a local sim card it didn’t work and keep say the you need to enter unlocked key. It gets even murkier as there is a Russian website which is apparently somehow providing unlock codes for region locked Note 3’s. They are charging $25 for the unlock code. 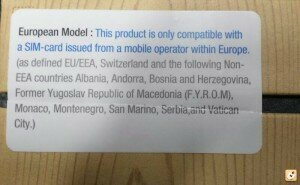 I would like to share my experience regarding European Region Locked Note 3. I bought two Samsung Galaxy Note 3 (SM-N9005) from Mediamart and Saturn electronic shop in Germany, it have European sim only sticker(something like that I can;t read german language exactly). One of staff said that I must activate german sim first so that I opened and made one call to other phone(not hanging up, just drop after getting ringtone from other). After that I went to Thailand and put Thailand sim card. I can; t use my phone and asking unlock code. If I dismiss the code, I can use everything except phone call( showing invalid sim card ). I send to Samsung Official service center and they also don;t know how to do. I just founded from http://puman.ru/ can unlock Note 3 with 25 $ per phone. I send my IMEI code and money to his paypal account and 2 hour later he sent the code. After putting his code, I got ” Network sucessfully Unlocked ” and I can use every sim card in Thailand and also in Myanmar. So I am very happy now that why I want to share my experience for whom suffering like me(bought 699 Euro each phone). If an unlock code from an online unlock code provider is working it is very clear that the Samsung has infact locked Note 3 being sold in Europe to that region. Is it the European carriers who forced Samsung to do so or was it Samsung’s call we do not know. Most likely it would be the European carriers as a region lock would help them make more money because of the high roaming charges. The fact though is, the Note 3 is region locked. US readers may argue that they have been using Note 3’s imported from UK on local US carriers, well the reason for that is that Samsung has excluded US carriers from the list of locked regions. So, if you import a Note 3 from UK it will work on US carriers like AT&T and T-Mobile. The number here is the interesting part, if mapped to list of MCC on wiki it means that the Note 3 is locked for Indonesian carriers. Here is a complete list of all the MCC which have been locked by Samsung in the European Note 3. For the technical peeps out there this file is in the csc partition. AFAIK even though the file can be modified and you can create a new csc file with the network lock lines removed you can’t flash the modified csc file from Odin as it needs to be signed by Samsung. Then again you never know what the peeps over at xda can do so let’s hope they do find a workaround this, after all the devs over at xda want their devices to be restriction free. This is not just the end of region locking, as per Samsung UK customer service with the rollout of Android 4.4 KitKat the region lock would be extended to Samsung Galaxy S3 and Note 2 as well. Way to go Samsung, region locking already bought devices in Europe, get ready for a big backlash. 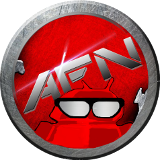 What do you peeps think about the region lock on Samsung Galaxy Note 3 and the lies from Samsung? This is not the first time Samsung is fooling and lying to its customers. It’s been proved that Samsung was inflating benchmark scores on the Galaxy S4 and even after being caught Samsung is inflating the benchmark scores on the Note 3 as well. The region lock has appeared on newer versions of Samsung Galaxy S4 and S4 mini, Clove UK also sent a European region locked Note 3 to a buddy in Thailand who could activate it in Thailand on a UK sim but not on a Thailand sim. This is undoubtedly a huge frustration – sure we’ve lost sales which no business enjoys; however it’s the confusion and extra work this has caused which compounds things. There have been industry mutterings reported by some news sites that this type of behaviour could be in the works from major manufacturers. It is pretty upsetting though that it was not communicated to us and other retailers fully until the procedure was finalised, orders had been placed and stock arrived. We hate disappointing our customers, which in this case we’ve had to do many times over by cancelling and refunding orders, in some cases to long standing and valued international clients. Especially now we are also beginning to see other Samsung devices (new stock of the S4 & S4 Mini) with the same restrictions and warning stickers on the packaging. We want to be 100% certain of the message we give out to anyone wanting to purchase a new Samsung device and provide any support we can to legitimate international clients. So the region lock is coming to Samsung Galaxy S4 and S4 Mini as well. Not sure what Samsung is up to here but things do not look good. This entry was posted in Featured, News and tagged android 4.4, galaxy note 3, Galaxy Note 3 Region Lock, region lock, Samsung. Bookmark the permalink.